Takeaway: There's more to FR clothing than just getting the right fit. Flame resistant (formerly known as flame retardant) clothing is a piece of specialized personal protective clothing required in many workplaces. If you or your employees require FR clothing to carry out work safely, here are some key things that are worth knowing. Flame resistant material is, by definition, self-extinguishing material. Unlike conventional fabrics, it will not fuel a fire. Rather, it will starve a fire by preventing the entrance of oxygen through the material. Some manufacturers make products that are naturally flame resistant and do not need to be chemically treated to be classified under the FR standard. Typically, natural fibers like wool and silk do not melt and are difficult to ignite, which makes them good candidates for FR gear. The tighter and heavier the wool, the more fire resistant it is. Some synthetic fibers, like polyester and nylon, are also more difficult to ignite. However, once they catch on fire, they tend to melt. As with wool, the tighter the weave, the more flame resistant the fabric. One advantage to inherently flame resistant fabrics is that they are engineered to be flame resistant for eternity. Since their FR properties are incorporated at the molecular level, they offer fire protection that doesn't wash out or wear out. 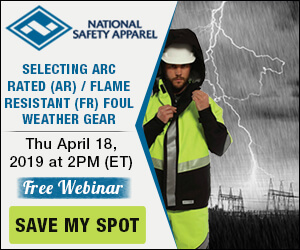 The clothing remains flame resistant regardless of its length of use (find out Why Comfortable Flame-Resistant, High-Visibility Safety Apparel Is Important). Other natural fabrics, like linen and cotton, can ignite easily and result in a rapid spread of flame. But they can be treated with chemicals that will extinguish the flame. Alternative manufacturers make clothing that is treated with a compound at the final stage of production. This compound will chemically extinguish fire or flame by depriving it of the oxygen it requires to keep burning. One downside to these treated fabrics is that their FR properties will degrade over time and offer less and less protection as UV exposure, abrasions, and washing erode their performance. Another concern is that the chemical FR treatments applied to fabrics like cotton can have negative environmental effects. For example, the effluents produced in the process could find their way into and contaminate the natural environment. A common question about flame resistant clothing is "Is it toxic?" The answer isn't always straightforward, but chemical FR treatments applied to fabrics such as cotton regularly present serious environmental concerns. Currently, the largest marketed FR group is brominated flame retardants (BFR). BFRs are the largest distributed products worldwide due to their combination of high effectiveness and low cost. Approximately 75 BFRs are presently recognized; however, some of these have been removed from the marketplace since the 1970s following incidental poisoning due to ingestion, which demonstrates the toxicity of those specific BFR classes. Tris-BP, for instance, was originally included in the manufacturing of children's clothing but was quickly removed following discovery of its mutagenic and nephrotoxic effects. Today, you can still find diphenyl ethers, cyclododecanes, and brominated bisphenols representing the largest major BFR classes. In day-to-day living, these classes are also widely used as additives or reactive components in polymers such as epoxy resins and foam, as well as products like electrical equipment, computers, and electronics. Which style and weight of FR garment is more suitable and practical for the worker? What arc thermal performance value (ATPV) is required? This value outlines the performance of FR material when it is exposed to electrical discharged. It is expressed in cal/cm2, with a larger number representing a greater degree of protection. Does the FR product meet safety standards and regulatory requirements? What is the life expectancy of the garment? How soon will it have to be replaced? This information will help you make an educated choice when it comes to FR clothing, but it's not the end of your search. Investing the time and money required to do the research and select the right products will ensure durability, comfort, and (most importantly) confidence that you're getting the protection needed.